2009: A year of redemption after the disastrous fires in 2008 which cast a pall over the vineyards, 2009 was a more typical growing season in the Anderson Valley. Winter rains were lighter than usual, and a mid-May heat wave brought high temperatures. Bud break was late and spring was generally cool but not accompanied by frost. The summer was moderate and relatively cool allowing slow ripening and a prolonged harvest that began in mid-September and finished the last week of October. A later September heat wave brought grapes quickly to optimum ripeness and a large October storm provided a challenge that most vintners avoided. In summary, the quality of the vintage parallels the 2007 vintage, and probably surpasses it. 2010: Fruit set was good. Mild and cool growing season with heavy cloud cover and fog during most of the summer. Unseasonably cool in late summer, delaying grape maturation by a few weeks. A moderate heat wave in August pushed ripeness. Another moderate heat wave the last week of September was followed by mild weather the first weeks of October. The long, cool growing season produced wines of good fruit intensity and excellent acid balance. 14.1% alc., pH 3.90, TA 0.63, 248 cases, $39.95. Released May 1, 2012. 1.5 tons/acre. 46% 777, 22% Pommard, lesser amounts of 828, 115 and Martini clones. Aged 11 months in 30% new French oak barrels. Unfined and unfiltered. Crafted by Jason Drew. · Moderately dark reddish-purple color in the glass. Nicely perfumed with aromas of deep red raspberries black cherries and rose bouquet. Moderately rich, earth-kissed flavors of black cherries with a hint of spice and cherry cola. Bright acidity, supple tannins and generous length. Very polished and sophisticated. 13.5% alc., 62 cases, pH 3.40, TA 0.66, $20.95 (sold out). 100% 777 clone. Saignée, aged in stainless steel barrels for 6 months, unfined. · Pretty red rose color with slight haze in the glass. Initially, very nice aromas of strawberries and red raspberries, changing in the glass to slight aromas of fresh cut apples and white raisins (acetaldehyde). Refreshing and crisp featuring red berry flavors with hi-tone citrusy acidity on the herb-toned finish. Decent. 14.6% alc., pH 3.50, TA 0.58, 100 cases, $75. 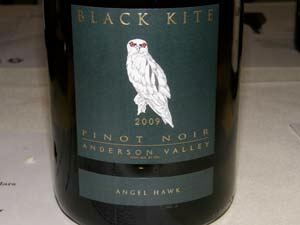 A reserve wine from Kite’s Rest Vineyard aged 20 months in 100% new French oak and 7 months in bottle. · Deep, dark reddish-purple color in the glass. Very fragrant, offering a perfume of ripe plums, blueberries, Moroccan spices, oak and sweet pipe smoke. Bigshouldered and richly endowed with spiced dark stone fruits backed by wellproportioned firm tannins and toasty oak, offering a creamy texture, and finishing with impressive length. Tasted the next day from a previously opened and recorked bottle, the wine was still burly and flashy with plenty of oak and tannin. Very California at heart and seductive for those who relish this style. Very good. 13.7% alc., $46. Released December 11, 2011. 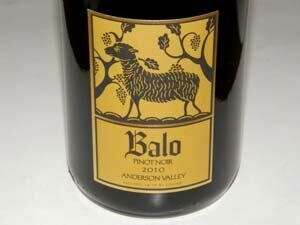 From a vineyard that sits 1,600 feet above the valley floor, farmed by Rich Savoy. Calera (20%), 777 (50%) and 115 (30%) clones are co-fermented. Aged 10 months in 50% new Francois Frères French oak barrels. · Moderately light reddish-purple color in the glass. I love the heady aromas of raspberries, strawberries, sandalwood and spice. 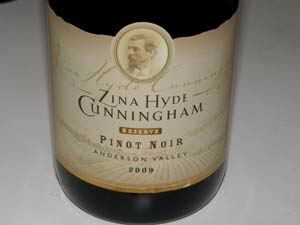 Wood-kissed dark raspberry flavor on a lighter, elegant frame with mild, fine-grain tannins and adequate acidity. Reserved mid-palate impression and finish, but has charm. Tasted twice. Good (+). 14.5% alc., $35. · Medium reddish-purple color in the glass. Very seductive aromas of fully ripened cherries with hints of spice, leather and dark chocolate. 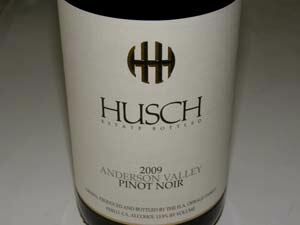 Delicious core of black raspberry and black cherry fruit framed by toasty oak and a bright cut of acidity. The finish is crazy long: my notes say amazing! Beautifully composed and balanced. 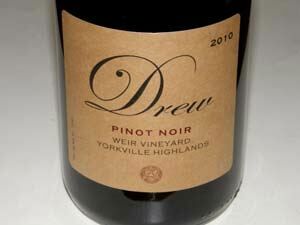 Reminds me of a Russian River Valley Pinot Noir in character but with better acidity typical of Anderson Valley. Impressive debut. 13.7% alc., $65. · Moderate reddishpurple color in the glass. The nose offers appealing aromas of black fruits and Chinese 5-spice. Juicy, with a fresh cut of acidity, offering earth-kissed flavors of black raspberries and black plums, ending with a floral and citrus-imbued cranberry note on the finish. Opens slowly in the glass. Unchanged the following day from a previously opened and re-corked bottle. A bit too acidic for me, but this style will find fans. Good. 13.4% alc., $70. · Subdued aromas of black cherry tart, blackberry jam and oak. Darker berry and cherry flavors are featured, mildly compressed by muscular tannins. Similar to “En Bas,” but more black raspberry fruit intensity, more expressive, more length and more appealing. A good, but not disproportionate cut of acidity on the finish. Very good (+). 13.1% alc., pH 3.75, TA 0.67, 142 cases, $38. This vineyard is located on a mountaintop ridge at 1,850 feet elevation. Originally planted for sparkling wine production, it was retrained to bilateral cordons for fine still wine production. Pommard clone planted in Goldridge loamy soils, now approaching 20 years old. Sustainably and organically farmed, managed by Couloir Wines in conjunction with Ardzrooni Vineyard Management. 60% whole cluster. Native yeast fermentation. Aged 10 months in 20% new French oak. · Light garnet color in the glass. Demure but pleasant aromas of cherry drops, strawberries, and straw. Middleweight flavors of dark red cherries and raspberries with hints of sandalwood. Smoothly textured with reserved tannins. Very elegant with high-spirited acidity. Good (+). 13.3% alc., pH 3.74, TA 0.62, 141 cases, $38. This vineyard was planted to Dijon clones in 1999 by Duckhorn Vineyards and is now owned by Twomey Cellars. Organically farmed, this vineyard is situated in the “deep end” (cooler end) of the Anderson Valley. Clones 777, 667 and 115. 1/3 fermented whole cluster. 7-day cold soak, native yeast fermentation, aged 10 months in 30% new French oak. · Medium reddish-purple color in the glass. Uplifting perfume of red cherries and tea leaf. Moderately intense flavors of dark red cherries and raspberries with a complimentary hint of spice and oak, robed in ripe, firm tannins. Impressive mid palate impression, welcoming crispness, and admirable finishing length. A serious wine of pedigree that needs more time in bottle for full expression. Very good. 13.9% alc., pH 3.72, TA 0.62, 141 cases, $38. This 15-acre vineyard is located in a warm pocket in the “deep end” of the Anderson Valley. Five clones of Pinot Noir. Farmed by Ardzrooni Vineyard Management. 80% Pommard and 20% Dijon clone 115. 40% whole cluster. Native yeast fermentation. · Moderately light reddish-purple color in the glass. Intense aromas of dark raspberries and blueberries with a hint of pine. Delicious core of mixed dark red berries with hints of dark chocolate and spice. Well-structured and integrated tannins with a welcoming cut of acidity on the finish. This wine really attracts your attention and holds on. A consistently top-performing vineyard. Very good (+). 13.6% alc., pH 3.53, TA 0.63, 210 cases, $42. Fifth vintage of this wine. A blend of 50% Balo Vineyard and 50% Morning Dew Vineyard, both of which are heavily influenced by coastal fog and cool ocean breezes. Fog-eater is the Boontling term used to describe a coastal dweller, someone living out on the margin. Rochioli, Pommard, 777, 828 and Martini clones. 30% whole cluster. Native fermentation. Aged 11 months in 12.5% new French and 77.5% season French oak barrels. · Medium reddish-purple hue in the glass. Aromas of forest floor, dark red berries and cherries, savory herbs and floral elements. Juicy and crisp with modest intensity, featuring flavors of wood-kissed raspberry and black cherry fruit and a hint of citrus in the background. Very smooth and elegant with supple tannins. An easy drinking, solid food wine. Good (+). 13.8% alc., $65. · Moderately dark reddishpurple color in the glass. Pungent, green, vegetal aromas. 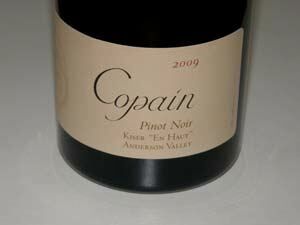 The fruit is very dull and stripped on the palate and clearly smoke tainted. The balance is heavily weighted toward tannin. Unsatisfactory. 13.8% alc., $65. At 189 acres, Cole Ranch is the nation’s smallest AVA. 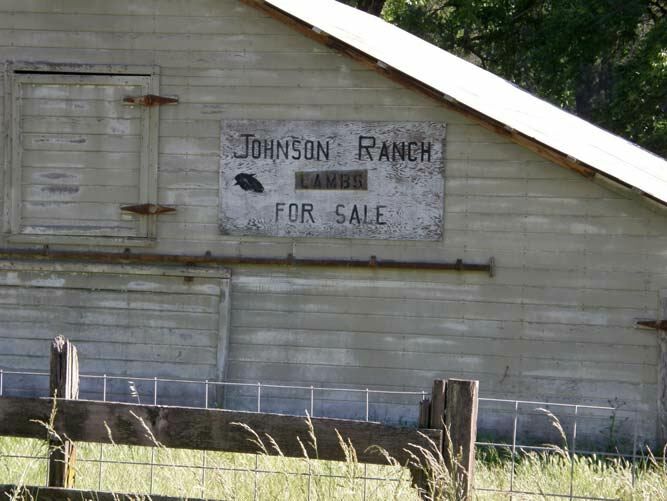 Located between Anderson Valley and Ukiah off Highway 253. · Medium reddishpurple color in the glass. Slightly confected aromas of black raspberries and pie cherries. Waves of mid weight dark stone fruits and berries unfold on the palate with accents of oak, cola and brown spice. Balanced fine-grain tannins, bright acidity and some length on the fruit-driven finish. A very ripely fruited style. Very good. 14.5% alc., 9,385 cases, $55. 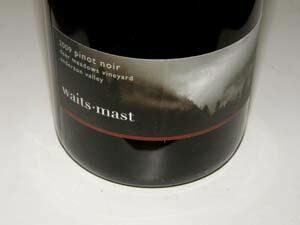 Sourced from four estate vineyards (19 clones of Pinot Noir), combined with 5% of grapes from independent growers. Aged 18 months in 70% new French oak. · Medium reddish-purple robe. Brooding aromas of blackberry jam and dark chocolate. Medium weight flavors of blackberries and black plums with toasty oak in the background. Plentiful tannins both from the fruit and oak. Lavishly fruited, yet linear in character and seems to want for some zip. Good. 14.5% alc., 1,090 cases, $80. This vineyard is 10 miles north of Goldeneye’s Confluence Vineyard where there is more fog. 8 clones of Pinot Noir. More than 100 barrel lots are evaluated three different times in blind tastings over the course of a year to discover lots that are unmistakably Gowan. · Moderately dark reddish-purple color in the glass. Intensely fragrant with aromas of black cherries, black currants and blackberries with oak-driven accents. Oak-kissed array of dark fruit flavors, moderately rich and dense, wrapped in firm, mildly astringent tannins, finishing long and lush. A little withdrawn and needs more time to integrate the oak. Still solid the following day from a previously opened and re-corked bottle. Very good. 14.5% alc., 365 cases, $110. A special bottling from 200 acres of estate vineyards which offer 49 combinations of clone and rootstock. The best 14 barrels in the cellar out of 1,500. Less than 1% of estate fruit makes it into this bottling. · Medium reddish-purple color in the glass. Subdued nose, opening slowly to reveal lovely aromas of fresh, ripe dark berries and oak. 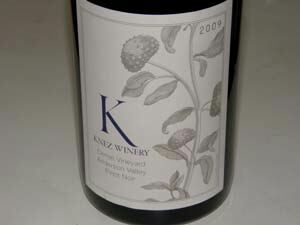 Very pretty fruit core, offering delicious layers of red and black berry fruit accented by complimentary oak. Smoothly textured with well-proportioned tannins and acidity and offering seemingly endless pleasure on the extraordinary finish. Still highly aromatic and flavorful the following day from a previously opened and re-corked bottle indicating age ability. A thoroughbred in the Goldeneye stable. 13.5% alc., 50 cases, $50, screw cap. · Medium reddishpurple color in the glass. Nicely perfumed with aromas of fresh black cherries, dark red berry jam, caramel and spice. Medium weight, luscious dark red fruits wrapped in svelte tannins, elegant in composition, finishing long and aromatic. I like this wine for its delicacy, purity of fruit and transparency. 13.9% alc., $18. 25% whole cluster. · Moderately light reddish color in the glass. Aromas of confected black cherries, raspberries, forest floor, potpourri, and vanilla. Mid weight flavors of black raspberries, black cherries, currants and sandalwood with a hint of citrus on the finish. Smooth and easy to drink with pleasing acidity and fine grain tannins. Even better the next day from a previously opened and re-corked bottle. This is always a dependable wine that is easy on the wallet. 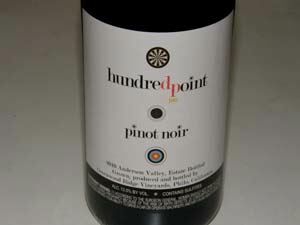 You won’t find a better under $20 Pinot Noir anywhere in California. Very good. 13.4% alc., $36. Some whole cluster. · Moderately dark reddish-purple color in the glass. A stunning wine with enticing aromas of fresh cherry pie, nutmeg spice, herbs and petrichor. The juicy palate sings the same tune with interesting herbal, spice, mineral and earth nuances, persisting on the generous finish. Underlain with fine, fuzzy tannins and well-honed acidity. A complete wine. 14.0% alc., $36. · Moderately light reddish-purple color in the glass. Demure but pleasing aromas of dark red cherries and brambly berries, brioche and old book. Tasty middle weight flavors of raspberries and cranberries with a savory herb undertone, picking up flavor intensity and interest over time in the glass. Well-proportioned tannins and acidity. This wine grows on you and is easy to drink. Very good. 13.45% alc., 240 cases, $48. 100% de-stemmed. Native yeasts. Aged on lees 16 months in neutral oak. · Moderately dark reddish-purple color in the glass. Slowly emerging aromas of dark berries, violets, cedar and eucalyptus. Lighter weight flavors of raspberries, cranberries and red plums with a mild oaky, earthy bent. Elegant with a soft tannic backbone, finishing shallow and citrusy. Re-tasted the following day from a previously opened and re-corked bottle, the wine was still lightly flavored and tart with a little alcohol peeking out. The fruit seems under ripe in this wine. Good. 14.4% alc., $45. · Medium dark red color in the glass. Very vibrant nose, offering hi-tone aromas of earth-kissed, fresh dark red berries with hints of oak and spice. A stellar wine that satisfies with plentiful dark red cherry, raspberry and strawberry flavors accented by savory herbs, and framed by firm, but well-proportioned tannins. Soft in the mouth with impressive length on the red-fruited finish. Everything comes together in this wine: pedigreed fruit, impeccable winemaking, and easy approachability. 14.3% alc., 275 cases, $49. Clones 2A, 115 and 777. Aged 11 months sur lies in 40% new French oak. · Medium reddish-purple color in the glass. Oak-driven aromas initially give way over time in the glass to lovely, crushed black cherry fruit scent. Vibrant fruitiness, offering mouthwatering flavors of fresh black cherries and black raspberries lingering on a very long and generous finish. Balanced tannins, a bright cut of acidity, a soft mouth feel, and the slightest dusting of oak in the background. The pedigree of the fruit from this iconic vineyard shows through. Very enjoyable now but has the goods to age well into ten years. 14.3% alc., 200 cases, $49. Clone 115. Aged 11 months sur lies in 40% new French oak. · Moderately light reddish-purple color in the glass. This wine is lashed with oak, offering aromas of black coffee, timber and sweet smoke, and flavors of dark red cherries and berries buried in oak. Plentiful astringent oak tannins dominate the pretty core of fruit. Tasted twice. Decent at best. 14.1% alc., 300 cases, $48. Vineyard farmed by noted viticulturist, Paul Ardzrooni.Clones 115, Swan, 2A, Pommard and 667. Aged in 40% new Francois Freres and Remond French oak. · Moderately dark reddish-purple color in the glass. Deep, dark and mysterious with flamboyant aromas of black berries, brewed tea, and oak notes of mocha and vanilla, becoming more vibrant over time in the glass. Full-bodied and very tasty with a luscious and slightly sweet core of black plum and black grape flavors accented by hints of oak and dark chocolate. The impressive depth of fruit is well balanced by acidity and tannins, so it should drink well for several years. Very good. 13.4% alc., 125 cases, $35. No new oak. Unfined and unfiltered. My second tasting of this wine (the first tasting was disappointing so I wanted to give the wine another shot). · Moderately light reddish-purple color in the glass. Some nice red cherry and raspberry fruits shows up on the nose initially, but give way over time in the glass to aromas of straw bale and apple core (acetaldehyde - oxidation). Elegant and light in flavor featuring red cherries and berries and spice with a faint underlying herbal, green and citrus note. The fruit seems under ripe. Bright acidity with soft tannins. Becomes less and less attractive over time in the glass. Unsatisfactory. 13.6% alc., pH 3.48, TA 0.61, 1,853 cases, $46. Sourced from Ferrington, Savoy and Monument Tree vineyards. Aged 15 months sur lies in 45% new and 55% once-used French oak barrels. · Moderately light reddish color in the glass. Muted, but pleasing aromas of fresh strawberries, raspberries, dried rose petals and sandalwood. 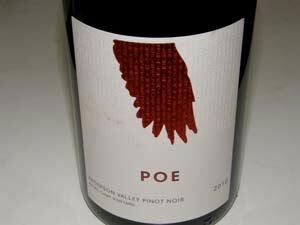 Delicious core of raspberry flavor elevated by brisk acidity, draped in well-proportioned tannins, underlain with a complimentary note of oak and savory herbs, and finishing with a vivid riff of cherry fruit which lingers for a remarkably long time. A seamless wine that is uncommonly refreshing. 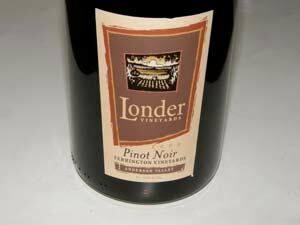 Tasted against several very good Anderson Valley Pinot Noirs, this was the clear standout. Re-tasted the next day from a previously opened and re-corked bottle, the wine had become more aromatic and generous in flavor. Irresistable. 14.2% alc., 49 cases, $47. Released September 2011. This vineyard is located at 1,600 feet elevation above the town of Boonville and is farmed by Rich Savoy. Clones are 115 and 2A. 100% whole berry, inoculated yeast, aged 17 months in 25% new French oak barrels. · Pleasant aromas of dark cherries and berries, bark, forest floor, and fennel, becoming more giving over time in the glass. Tasty core of fruit featuring black raspberries, purple grapes and black cherries veering to the ripe side, underlain with a complimentary hint of savory herbs, green pepper and toasty oak. Moderately rich with mild tannins and some length on the finish. Tasted twice with consistent results. Very good. 14.6% alc., 24 cases, $36. Released September 2011. From a 34-acre valley floor site planted to Dijon clones 114, 115, 667 and 777 with small amounts of Pommard and Martini. This wine is all clone 114. 100% whole berry. Inoculated yeast. Aged 17 months in 25% new Francois Frères French oak. 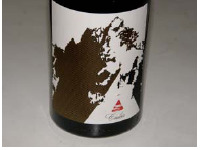 · Aromas and flavors of black cap raspberries and black cherries with a subtle underlying earthy, herbal bent. Full-flavored and plush on the palate, with a juicy finish. A savory wine that aims to please. Still solid the following day from a previously opened and re-corked bottle. Very good. 14.5% alc., $48. · Medium reddish-purple color in the glass. Aromas of nicely spiced cherries, raisins and cardamom spice. Moderately rich flavors of black cherries and raspberries with a hint of herbal oak. Soft and silky in the mouth, leaving a hint of warmth on the finish. 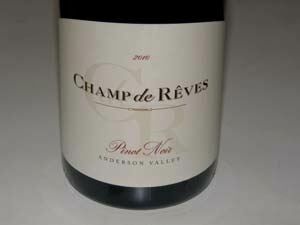 Veers to a ripe, cooked fruit profile but not markedly so. Good. 14.5% alc., 100 cases, $60. Aged in 75% new and 25% used French oak barrels. · Moderately dark reddish-purple color in the glass. Reserved aromas of dark cherries and plums with a hint of spice. The ripeness of fruit is right on in this offering, revealing flavors of dark stone fruits and dark red berries, rhubarb, clove, cola, spice and graham. More bones than the regular bottling with considerably more length on the finish, and displaying a very inviting, soft, velvety mouth feel. Beautifully balanced. A note to be on the lookout for this beauty when it is released. · Terrific in every way at this early stage. Bright cherry, raspberry and red plum fruits with a hint of oak and sandalwood on a moderately light, elegant frame. My notes say great! Yorkville Highlands is a small appellation located just south and inland of the Anderson Valley in Mendocino County. It stretches along Highway 128, flanked by Alexander Valley to the southeast and the Anderson Valley to the northwest. Most of the vineyards are planted to warm weather varieties such as Zinfandel, Syrah and Petite Sirah. There are small plantings of Pinot Noir in strategically placed areas (Vidmar Vineyards, Walsh Ranch Vineyards, and Weir Vineyard) with Weir Vineyard clearly the most noteworthy. For more information, visit www.yorkvillehighlands.org. 14.5% alc., pH 3.67, TA 0.62, 98 cases, $42. First planted in 1992 under the guidance of Burt Williams (Williams Selyem). 15 acres planted to Wädenswil 2A, a DRC selection and a Rochioli field selection (1/3 each in this wine). Owner Bill Weir strives to achieve old world character from his vineyard. 30% whole cluster. Native fermentation. Aged 11 months in 25% new and 75% seasoned French oak barrels. · Medium reddish-purple color in the glass. Enticing aromas of berry jam on toast, forest floor and floral notes. A wine with character, featuring flavors of dark berries, plums, and subtle oak, clothed in balanced, ripe, dry tannins, finishing crisp with a good cut of acidity. Silky in the mouth with a long, dramatic finish Hollywood would envy. Not as tannic as some previous vintages. I love wines from this vineyard! 14.3% alc., 175 cases, $39. Crafted by Shane Finley. · Moderately dark reddish-purple color in the glass. Intensely aromatic featuring a perfume of dark raspberries and blackberries with a lovely accent of spice. Infused with vivid flavors of black raspberry jam and tea leaf, currently dominated by firm, dry tannins. Impressive length on the well-endowed finish. This is a remarkable vineyard. Very good.